Converts have become pawns in Egypt’s increasingly bitter standoff between Muslims and Christians. The religion we are born into is one of those accidents of circumstance that none of us has any control over. Believers in individual freedom should oppose the idea that we automatically inherit our parents’ faith. In my view, children should not come into this world with a predetermined religious identity but should be able to decide for themselves when they are adults, as my son will do. Failing that, people should have the complete freedom to convert out of their inherited faith without fear of negative repercussions. So the fact that hundreds of Egyptian Muslims took to the streets in solidarity with Kamilia Shehata – the wife of a Coptic priest who is rumoured to have been kidnapped by church authorities because of her decision to convert to Islam – should seem like a victory for religious freedom. But this is only ostensibly so and there is a strong stench of hypocrisy attached to this grandstanding. The protesters were not defending a universal principle of freedom but a relative one. Had this woman been converting out of Islam, few would have taken to the streets to defend her; most would have met the news with silent disappointment and disapproval, while a vocal few would have been out attacking her. This is partly because of a widely held belief that Islam prohibits Muslims from converting to other faiths. However, as I’ve argued before, the case for the prohibition of ‘apostasy’ in Islam – and especially its punishment by death – is extremely weak or even nonexistent. The idea, in Islamic jurisprudence, that apostasy should be punished seems to have been born in Umayyad times as a political tool to silence opponents of the caliphate. For its part, Egyptian law not only prescribes no punishment for apostasy, it also regards all Egyptians as equals, regardless of their religion or ethnicity, and protects their religious freedom, at least in theory. However, Egyptian law also contradicts itself. Although it borrows heavily from the French legal system and other secular sources, article 2 of the constitution states that Islamic jurisprudence is the principal source of legislation. The clause was a fudge used by secularists to appease religious conservatives at a time when Egypt was secularising rapidly, but it is slowly returning to haunt the establishment. This inherent contradiction within Egypt’s secular laws, as well as ambiguous laws against ‘defaming religion’ and ‘sowing sedition’, allows reactionary government officials, judges and activists to punish, or at the very least obstruct, people who act in what they perceive to be an ‘un-Islamic’ manner. Take the case of Mohammed Hegazy, the first Egyptian convert to Christianity to seek official recognition of his conversion. 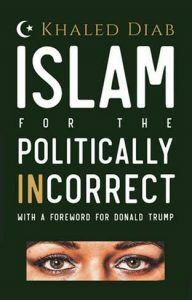 His dream was dashed when, in 2008, a judge ruled that, because Islam is “the final” and “most complete” religion, a Muslim who converts to Christianity “can believe whatever he wants in his heart, but on paper he can’t convert”. The judge’s remarks are telling. As someone who believes that if God had intended us to believe in him, he would have created Faithbook, I can only conclude that split hairs separate Judaism, Christianity and Islam, yet each of the three religions believes only it possesses the full truth. In the case of conservative Islam, this superiority manifests itself in the conviction that once nonbelievers are exposed to “true” Islam, they will see the light and embrace the faith. People like Hegazy, going the other way, are an inconvenient embarrassment to this view. The fact that Egyptians – both Muslims and Christians – facing the very serious challenges of corruption, poverty and an oppressive regime have devoted so much attention to these as-yet unsubstantiated rumours, even launching law suits, suggests that this case is about far more than the conscience of a single individual. Judging by the regularity with which conversion stories surface in Egypt, and the interest and passion they elicit, it might not be an overstatement to say that the soul of every Egyptian has become a battleground in the increasingly ugly standoff between Muslims and Christians, which has led to the growing marginalisation of Egypt’s Coptic community. This is not surprising as Copts have seen their religion in constant retreat since the arrival of Islam. However, it should be noted that the early Muslims were not interested in converting the Egyptians and showed more tolerance towards them than the Eastern Roman Empire, which regarded Coptic theology as a ‘heresy’. Although Muslims make up the majority of the Egyptian population, they, too, feel their faith is under threat. In addition to the general threat posed by modernity, which all religions are feeling, Muslims have the additional fear that their religion has fallen behind Christianity – at least the western form of it – and the west (often equated with Christendom), they believe, is conspiring to impose its hegemony aggressively on Islam. Ironically, western Christians often feel the same way, as demonstrated by the increasingly popular “Eurabia” myth. Despite the fact that a growing percentage of Egyptians are actively and courageously seeking political change, the vast majority of Muslims and Christians still share a sense of political disenfranchisement and disempowerment. Faced with this marginalisation, one of the few areas left to the individual is that of “morality”. Moreover, faith that a greater power can provide deliverance from worldly oppression is something of a survival mechanism. For its part, the government has found religion to be a double-edged sword. In its desperate bid to cloak itself with a veneer of legitimacy, the regime has been desperately juggling the conflicting roles of secular state, “defender of the faith”, as well as the emblem of national unity and harmony. But at least the Egyptian government is an egalitarian oppressor. And, so, instead of falling into the trap of attacking each other, Muslims and Christians should find common cause in fighting the system. This is the extended version of a column which appeared in the Guardian newspaper’s Comment is Free section on 15 September 2010. Read the full discussion here.